The Darklands are famed for the abundance of equally dark-hearted creatures. Benorus, Angel of Lightless Chambers, is a beacon for those among the caverns who strive for goodness. Empyreal Lord of Hidden Wonders, Mines, and Subterranean creatures, Benorus is a very minor lord and his followers are few. But those who do follow him are a dedicated lot, and today we are going to take a look at them. When the living constructs known as the Wyrwoods escaped their wizard masters many of them fled to the underground places of the world. The few who have actually come across a Wyrwood enclave talk of cold, calculating individuals who will just as soon ignore you as kill you to protect their people. Not all of the Wyrwoods are content with merely existing they wish to be a part of the world they were brought into. In the deep places, these Wyrwood have taken to religion as a means to become more “alive.” The Angel of Lightless Chambers heard the Wyrwood’s call and has become the Covenant’s Patron. One of the things these constructs are trying to learn is empathy and Benorus’ lessons have taught them to think of more than just themselves and their own survival. Of the handful of Wyrwood that take to leaving their home in the ruins and deeps of the world, many of them are from the Covenant of the Deep. They look to spread goodwill to the other goodly races of Golarion. Although reclusive and usually distrustful of dwarves, a small group of Svirfneblin have begun to realize they cannot protect the world from the evils of the Darklands alone. The Cavern Knights are a sect of Benorus’ paladins who seek to quell the expansion of the Dark Elves, Druegar, and Derro. The Cavern Knights include not only Deep Gnomes and Dwarves, but a few of the more esoteric races. A Wyrwood – also a member of the Covenant of the Deep – a few Mongrel Men, and even one of the reclusive Pech heed the call of Benorus. The Knights work in small enclaves patrolling the upper reaches of the Darklands, doing their best to thwart the plans of the evils hidden beneath the surface. They also work to protect the beauty of the caves in which they dwell. 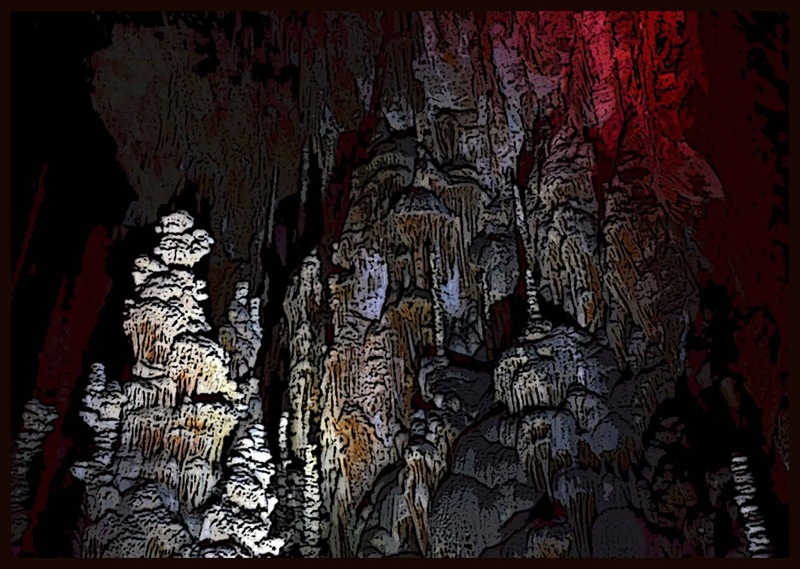 A number of vast caverns with oddly geometric stalactite patterns and vast crystalline caverns are guarded by the Cavern Knights. The Pathfinder Society is well known for their curiosity and they’ve spent their entire existence trying to know all there is to know about Golarion. However, not all knowledge is on the surface of Golarion and some Pathfinders feel a call to these deep places. Those of the society who feel this call also feel the call of another kind and thus the Lightless Path was formed by those Pathfinders dedicated to the Empyreal Lord Benorus. The ultimate goal of those that walk the Lightless Path is to plumb the furthest depths of the Darklands, the vaults of Orv. 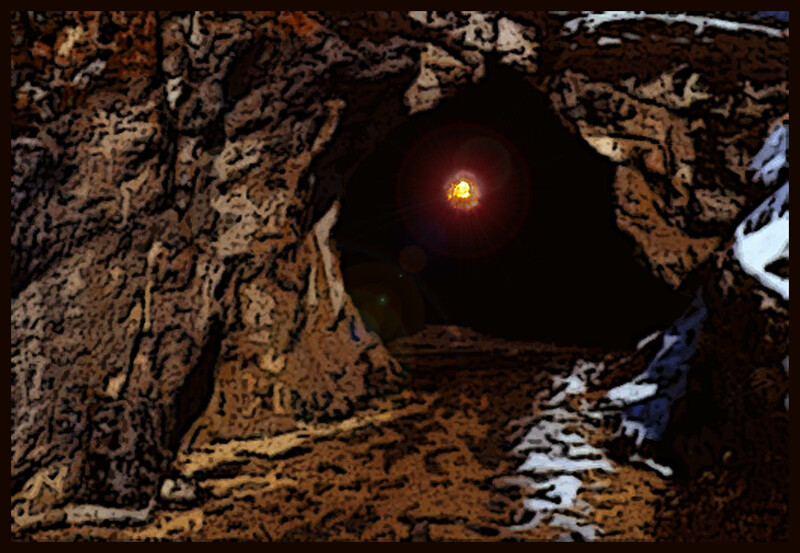 Those Pathfinders on the Lightless Path hope to one day map out the all of these ancient caverns and learn their secrets. Some even believe that the secrets of the lost Aboleth society remain below the surface and much can be learned from what they left behind. I will be like the stone, strong and sturdy and steadfast in my ways. I will be the lightless light, the dark is not to be feared it is my duty to show this to the world. The beauty of the stone is to be cherished, it is my duty to preserve this beauty from corruption. These are just some possible followers of the Angel of Lightless Chambers. But the bigger question is always if you had to make a follower of Benorus what would you make? It doesn’t have to be a divine caster just someone, or something that, seeks to further the Empyreal Lords goals. Enjoy these explorations of divine beings? Consider becoming a patron of the CRB though my Pateron. And don’t forget to check out the CRB’s expanded social media presence including both Twitter and Tumblr. Thank you for sharing this, I managed to get my player to switch from paladin of Sarenrae to a cavern knight redeemer of Benorus before the campaign began last night. I am truly honored by this. It is always nice when someone likes something you've created so much the incorporate it into their own games. If you don't mind. What race is he playing? Can you give a little more info on his background? Is this a premae module, an AP or are you running your own scenario on Golarion. Thank you for this. I play an amnesiac slayer who has slowly begun to learn more about his past. In the campaign he was found in the deep caverns. He escaped a city underground (location unknown) with a group of adventures because he was unwilling to harm children. As the story has progressed, certain angelic beings have called him by the name of Benorus and he has begun to show signs of having a deeper and greater power.